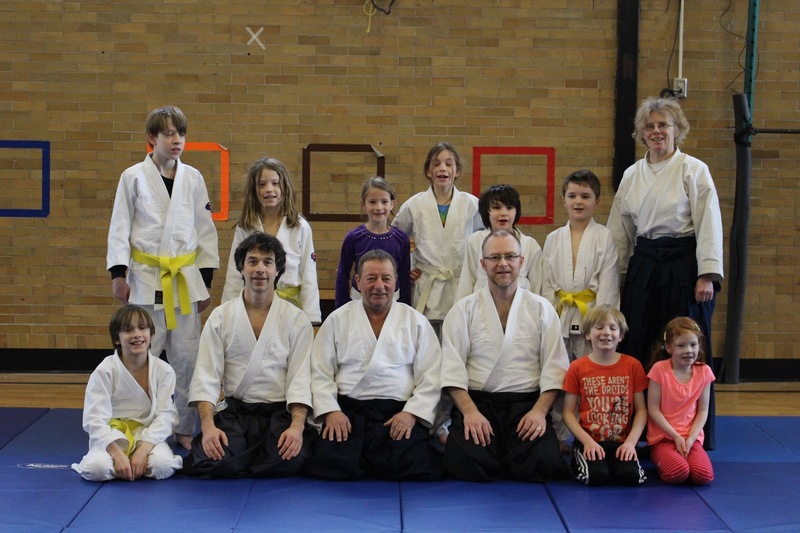 When we had testing earlier this winter students were awarded with 6th kyu or 6th kyu Part 1.They received these Gradings based on Attendance and Performance. Two of our club members were absent during that testing class. But based on their Attendance and their Performance in classes they have been awarded their deserving Kyu Ranks. East End Aikido NL has been meeting weekly at Bishop Field offering quality aikido to kids there free of charge. 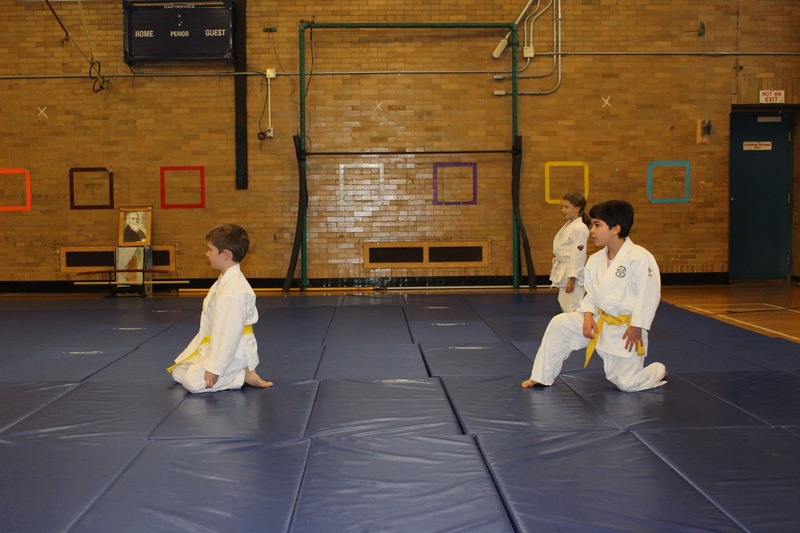 Many students have practised regularly and grading success demonstrates their progress !!!! 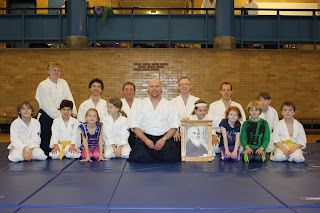 Sensei Collette and I have been happily part of that success over these last two years. 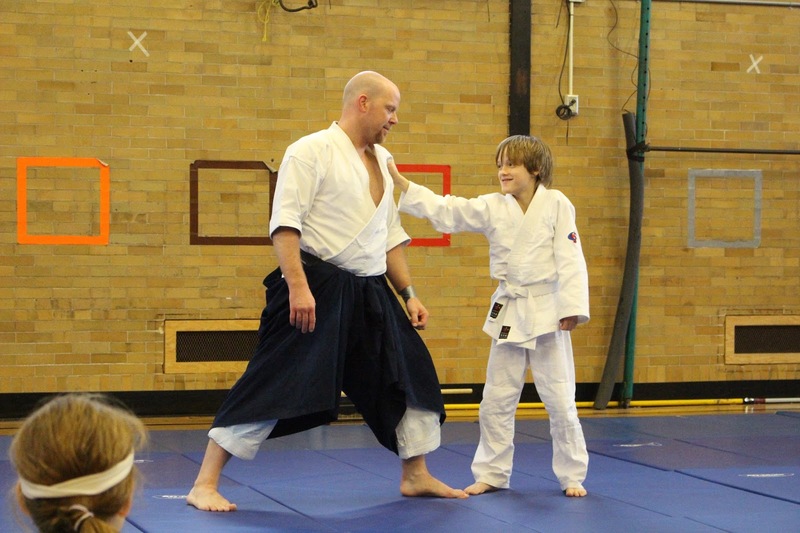 Periodically qualified instructors have visited to help out .... Sensei Terry from Aikido Institute and Sensei Derm ...Shihan ... . We have hosted local seminars with the local clubs sharing wisdom too. Sensei Paul Shidoin taught the kids class on one of these occasions. Shodan participants generously helped at these times - Ivan and Mark and Stephanie , to name a few. 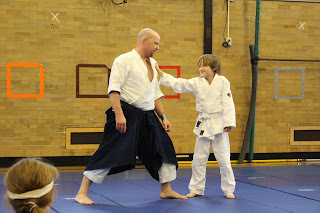 Aikido is a wonderful way to learn not only self-defence but also blending ...so lots more to come!!!!! 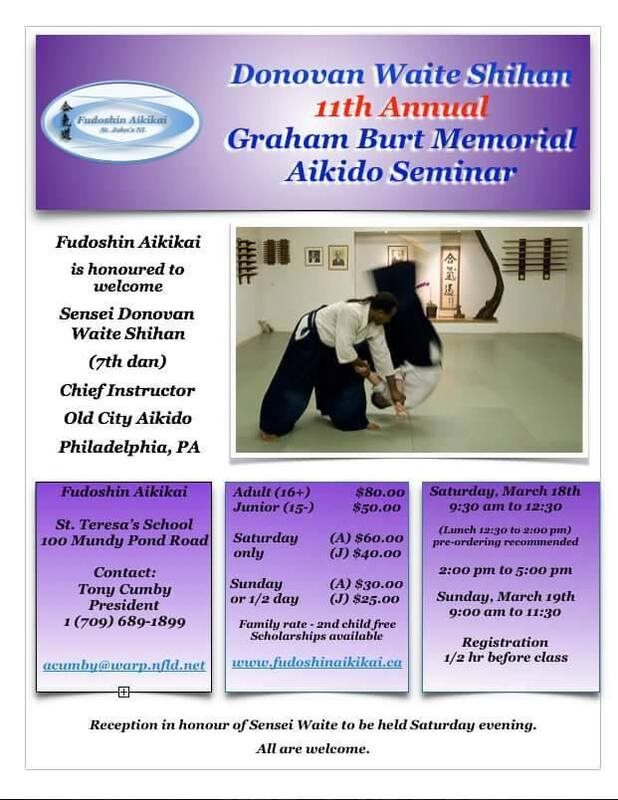 Sensei Jim ..Shidoin ..will visit and teach class this wednesday. 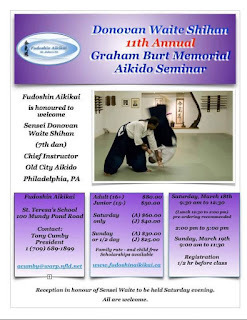 this wednesday .. March 22 aikido continues ..
Sensei Donovan Waite was in town ..thank you to fudoshin for arranging for this seminar in newfoundland !! THis visiting sensei offers lots !!!! 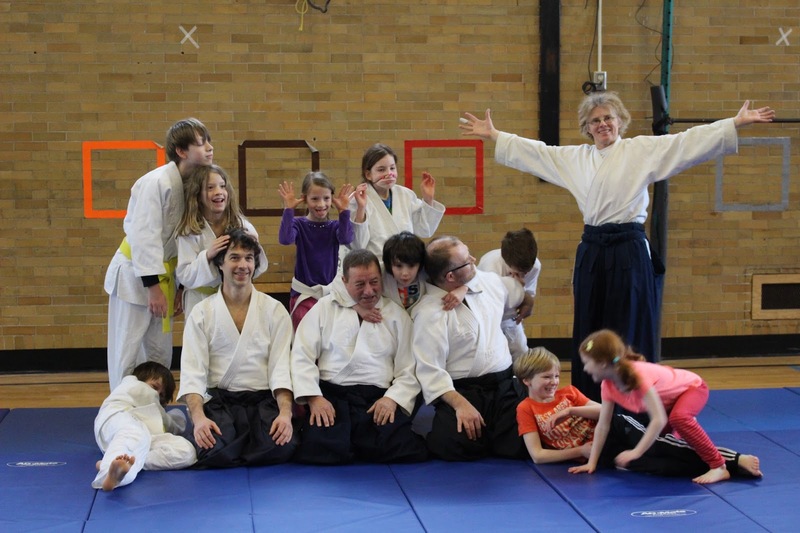 THere is a club that practises on tuesday and thursday and saturday ....Aikido Institute of Newfoundland .... come out and watch or join a practise !! !